Whether you’re interested in the great outdoors, the arts, or shopping – there’s so much to do you’ll need more than a day to explore the area. Escape to Henderson and discover the area’s rich history, impressive attractions, comfortable lodging, and variety of dining experiences. We encourage you to combine these ideas with other popular attractions you’d like to visit while in Henderson. Use these itineraries as a planning tool during your visit, or contact the The Depot Welcome Center via email at info@hendersonky.org or at (270) 826-3128 to speak directly with our staff for assistance in planning a custom itinerary based on your interests. We look forward to hosting you in Henderson; whether it’s for your upcoming family reunion, class reunion, girls trip, leisurely visit, or anything in between. Start your morning with breakfast and coffee at one of the many restaurants or cafes downtown. 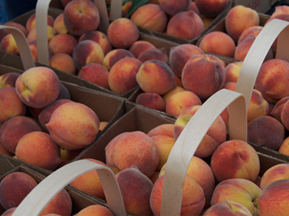 If you’re traveling during the summertime, plan ahead to visit during one of our bluegrass or jazz festivals. Experience the excitement of watching live music in a beautiful outdoor setting. 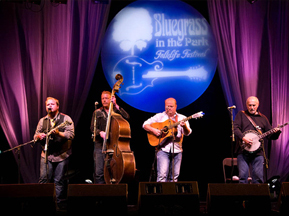 You can learn more about two of our most popular festivals by visiting www.handyblues.org or www.bluegrassinthepark.com. Afterwards take advantage of the exceptional shopping possibilities downtown. Explore the antique stores and unique boutiques. Check in to your hotel room, unwind, and prepare for an evening dinner or banquet with your group at one of our local restaurants or banquet halls. 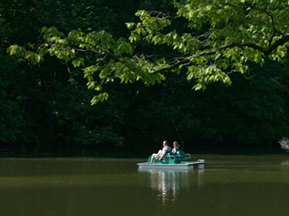 Visit Audubon State Park for a morning hike on one of the park trails, followed by a visit to the park museum and gift shop. Take a group walking tour of downtown Henderson, before heading to the library for research on your family tree. Have a group picnic in Audubon Mill Park, and then enjoy the downtown River Walk. Head out to the Brain Injury Adventure Camp for activities such as zip lining, ropes courses, fishing, archery and group challenges, followed by a family picnic on the camp grounds. Begin your Sunday at one of our local churches, before heading to a farewell brunch/lunch, and checking out of your hotel.